It is fair time in the Pacific Northwest and Optimist Clubs in Idaho, Oregon and Washington are working day and night at their biggest fundraisers. In Caldwell, Idaho, the Optimist Club works the food booth at the Caldwell Night Rodeo. This week-long event is one of the top 20 professional rodeos in the United States. There are events for junior ropers and a rodeo queen competition with scholarships and also country music artists free with rodeo admission. The 48-member club found a little (or a lot) of help from the Junior Optimist Club. In Oregon City, Oregon, the Oregon City Optimist Club works the Clackamas County Fair for an extended weekend, Wednesday through Sunday, making pronto pups. As the only pronto pup supplier at the fair, they work non-stop. In other words, don't believe the pictures that show them waiting for customers. The Tri-Cities Optimist Club in Richland, Washington also work a full week at the Benton County Fair. They have a large, permanent building where they cook and serve, and a nice covered picnic area for the patrons. And, oh, did I mention the mechanical bull? All of our fair fundraisers are well-supported by their respective communities. Fair-goers enjoy knowing their money stays right in the community to support projects that bring out the best in children. Please enjoy the slideshow from Optimists at the Fair. You'll see being an Optimist Club member is not all work; it's a lot of fun. Photos provided by Lareena Roberson, Casey Crookham and the Oregon City Optimist Club. Thanks! I'm late posting my choice for Music Sunday on the Experience Optimism blog today because I have been travelling, returning home from the PNW District - Optimist International Convention. I always feel empowered after attending a meeting with so many others who share my vision for spreading the good word and works of Optimist Clubs. At a district meeting we share stories, ideas and projects to help our communities and bring out the best in children. Jack Creswell, International President-designate joined us at this gathering and in addition to promoting a strong finish to the current administrative year, he described the theme for the 2011-2012 administrative year, "100% and then some." Yes, it means just what it says. We have to be willing to give just a little bit more of our ourselves to ensure our organization continues to grow and serve more children. It's urgent. Your help is needed now. As I was driving home, "Rolling in the Deep" by Adele was on the radio. "We could have had it all," she sings. 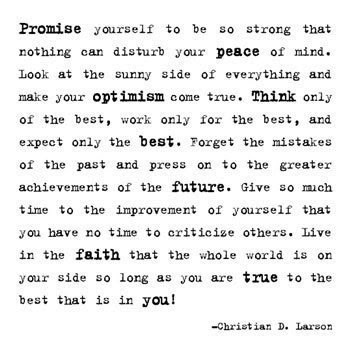 Optimist Club members and others, I know that we can have it all, if we give 100% and then some, but the secret is not to wait. Begin right now. The Pacific Northwest District - Optimist International has opened the final day of their annual convention to the public in order to welcome MK Mueller, internationally recognized author of 8 to Great and motivational specialist to the Seattle area. Mueller will present a three-hour workshop that will cover, among other things, her patented Positive Attitude Formula, FGH: Forgiveness of the Past, Gratitude for the present and Hope for the future. Her empowering message of positive change is now being taught by more than 1,000 educators across the country. The presentation will take place at the Red Lion Bellevue, 11211 Main Street, Bellevue, WA, Saturday, August 27, 1:30 p.m. to 4:30 p.m. It is free to the public, courtesy of the Optimist Clubs in Alaska, Idaho, Oregon, Washington and British Columbia. Please click to review and download the press release "Empowerment specialist MK Mueller to speak to Optimists in Seattle " or watch a video of Mueller discussing the Optimist Creed. Recently, I have been studying gender relations and gender biases that prevent women from reaching top leadership roles. I've found that women can be their own worst enemies. We're somewhat neurotic and question our abilities. We're realistic about our skills and welcome the opportunity to learn more. We hope to be liked and want everyone to get along. We're nurturers and help others first before helping ourselves. It's that last one that I want to talk about here. Yes, women are nurturers. Then why aren't we nurturing each other? Women have perpetuated a stereotype that we are fiercely competitive with one another and not always willing to help each other out. I question that is true, but if it is or isn't, the behavior or profile must stop. We must sponsor each other, promote each other and encourage our female and male counterparts to do the same. Only then will our associations, organizations, businesses, and government benefit from the full range of knowledge, experience and emotions that drive us to succeed. She says that last one is a moral imperative. I agree. Why did I think this was important to discuss on the Experience Optimism blog? Twenty-five years ago, the Supreme Court ruled that women must be allowed to join Rotary International opening the doors for their admission to all service clubs. Since that time, membership in service clubs has declined. Many explanations have surrounded this statistic such as the rise of churches, the failing economy, more opportunities to volunteer without joining a club, and others; however, I believe that the underlying problem is culture. Over the past three years, serving as an Optimist District leader, I have been appalled at how women are disrespected in many circles. Even when women are promoted and are successful, a rude, disparaging undertone is often louder than the praise. I will continue to look at the topic and when possible, encourage women to overcome the slights that will follow them on their road to success. Women, we must help each other achieve more. Mitchell Van Patten won the sporter division of the American Legion's Junior Air Rifle National Championships on August 6 and earned a $2,500 scholarship and made another step toward his goal of the Olympics. Mitchell, 14, has been shooting with the Meridian Optimist Junior Rifle Club for five years and has earned their sponsorship to many national level events where he has continued to place higher and higher, bettering his own personal bests. According to Bob Nelson, Vice President, Meridian Optimist Club, the Olympics are a true possibility for this young man. Mitchell is coached by his dad Brent Van Patten and his family accompanies him to most events. "Being his father and coach is sometimes very prideful and joyful and other times it can be frustrating. It's an interesting balance," commented Brent. Brent acknowledges that Mitchell has lofty goals, but he is focused, works hard and has the self discipline and natural talent to reach them. Junior rifle events allow the shooters to display that self discipline and patience. On shooting, Mitchell says, "I try to tell myself to relax, and my favorite position is the one that I shoot." 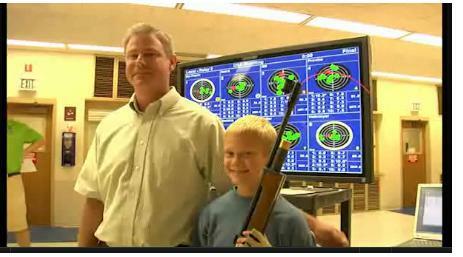 The Meridian, Idaho Optimist Club began sponsoring the Junior Rifle Program in 1972 as an Explorer Post program. In 1981, the Optimist Club leased a building so the program could continue to grow. They formally adopted the program as a major club focus in 1997 and assumed the responsibility for the site, coaches, and shooters. The Meridian Junior Rifle Club is open five nights a week, October through April. They have formed a 501 (c) 3 foundation to build a larger facility, the Meridian Optimist Youth Training Center, that can offer more programs and be more open to the community than their current location allows. For more information, please visit the Meridian Optimist Club. It was the fourth endowed scholarship to be awarded by the club. Each scholarship is renewable for $25,000 per year. The value of scholarships endowed by the Beaches Optimist Club is $105,000 annually. The latest recipient is Jennifer White. She is the first recipient of the Optimist Club of the Beaches Law Enforcement Endowed Scholarship. According to David Blanchard, President, Optimist Club of the Beaches, the decision to focus on law enforcement came from connecting two of the purposes of Optimist International: respect for law and supporting youth. It also comes at the 100th anniversary of the birth of Optimist Clubs in the United States. Thanks to Twitter and the NewsHerald.com for the story. I don't spend a lot of time over at YouTube and am always amazed when I hear YouTube statistics such as the site receives more than 3 billion views per day or that 48 hours of video are uploaded every minute. Yet, even though I don't spend a lot of time there, I admit I watched at least five versions of the song I chose today as the Music Sunday feature at Experience Optimism. YouTube makes it easy to move from one song to the next and for the viewer to hang around to hear just a little bit more. Thanks to @girlfriendology for leading me to a studio version of "Street Life" with Randy Crawford and Joe Sample. Shown in the first video, the song is interpreted by the piano. However, in the second version, a live recording of Street Life, the vocals are leading the way. This is an example of how a story can be modified to appeal to different audiences, or perhaps, how the viewer might interpret the performance given their location. I like the second version just a little better (sing it, girlfriend); how about you? Who do you think should lead: Piano or vocals? Lyrics or melody? Man or woman? 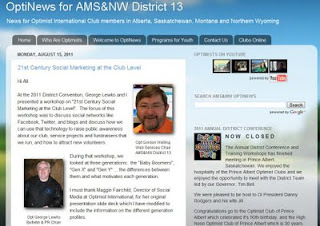 Fellow Optimist blogger Gordon Welling from the AMS&NW (Alberta, Montana, Saskatchewan and Northern Wyoming) District sent me a message this week to alert me to a new slideshow about 21st Century Social Marketing at the Club Level that he placed on the AMS&NW District blog. I thought about it before I made this post. You see, his slideshow is fairly repetitive of a presentation that was made by Optimist International's Maggie Fairchild and posted here last month, but it deleted the slides that bring people to this site (Dude, flattery will get you everywhere!) and adds in his contact information so that Optimist Clubs in his district can contact him to learn more. But as I said, I thought about it and decided it is outstanding that there are people like Optimist Gord and AMS&NW bulletin editor George Lewko who want to help others to get their Optimist Clubs online. Besides, there is nothing wrong with a little repetition for a good cause. Optimist Gord's post showcased different technology than Maggie and I used for our social media presentations. He chose box.net over slideshare.net as the platform and included handouts for the presenter and participant. He also added in some potential sites that can help in recruiting and organizing like volunteerspot.com, volunteermatch.org and a free website generator yola.com. The AMS&NW District presentation included some thoughts about connecting with Boomers, Gen X and Gen Y with the intent of recruiting them to your Optimist Club. There is no doubt that service clubs need more members so that they can continue to benefit the communities they serve. Connecting with members, participants, partners and stakeholders has changed drastically in the past ten years and technology is going to continue to drive engagement. Kudos to Optimist Gord for making himself available to help Optimist Club members navigate the new technology landscape. Go ahead, click on the picture and hop on over to the blog and see for yourself the good things that Optimist Gord and his district are doing. Optimist Clubs frequently take over projects that would otherwise be ignored or even abandoned by other groups in the community such as Easter egg hunts, sports leagues, distressed parks and buildings, and schools. 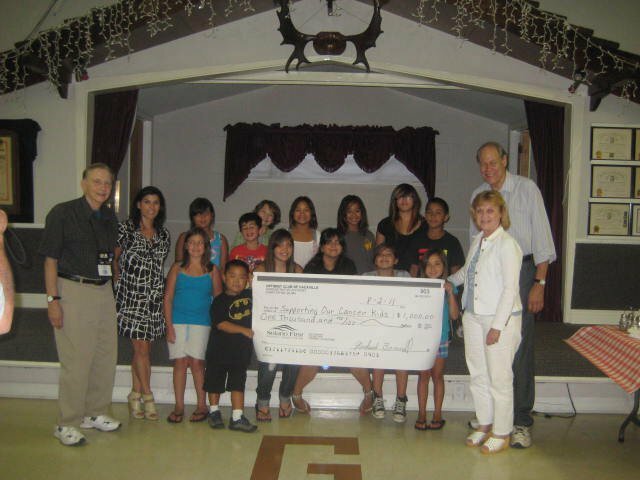 But none are more ambitious or more fitting with the Optimist Club mission than the Optimist Youth Home and Family Services in Los Angeles, California. Optimist Youth Home and Family Services. The Optimist Youth Home and Family Services lies in the boundaries of the Los Angeles Juveninile Court. It began quite innocently 105 years ago when Mr. and Mrs. John Strickland brought an orphaned nephew to live with them on their farm. Soon 12 other troubled boys were learning to live together and contribute to each other through their work on the farm. In 1914, the Strickland Home for Boys was officially established and the courts began sending boys to them for training and youth development. The local Optimist and Opti-Mrs. Clubs entered the picture in the late 1920s, and the name was changed to the Optimist Youth Home with the promise of ongoing financial support that continues to this day. The Optimist Clubs have now grown to include two supporting districts (groups of clubs) in the Pacific Southeast and Southwest California. Through the years they have added the kitchen, dorms, chapel, administration building and gymnasium. They have acquired land and added vocational programs, outreach programs and an alternative school - the Optimist High School. 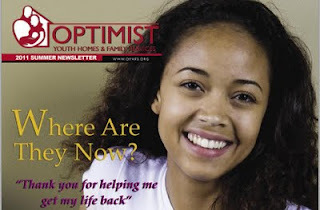 In addition to the school and residential program, now co-ed, the Optimist Youth Home and Family Services offers an aftercare program to follow up with students who have graduated from the school, foster care, adoptions, mental health services, and family counseling. It is managed by professional staff, overseen by a board of directors made up of Optimist Club and community members. 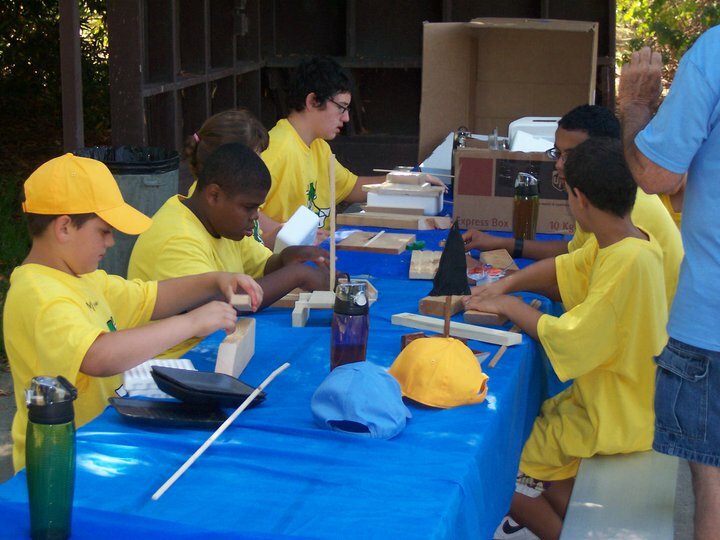 Optimist Club members volunteer as mentors and tutors and other community members are encouraged to participate as well. Find out about more opportunities or make a donation to the Optimist Youth Home and Family Services. 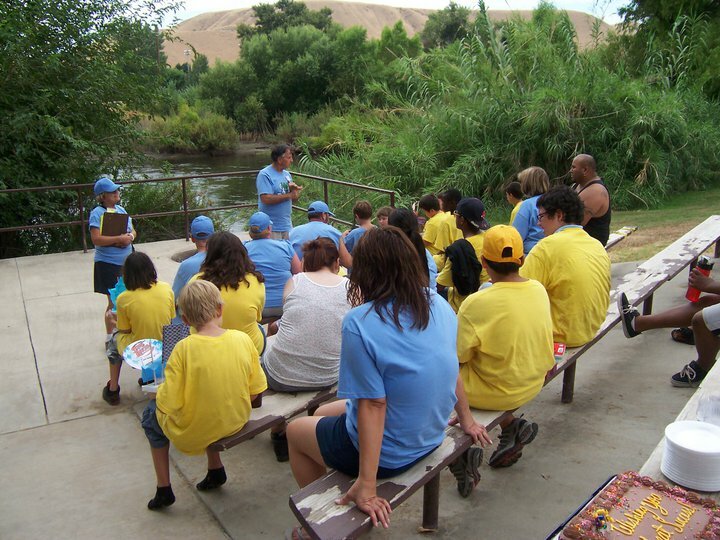 Read an article from the Los Angeles Times about the Optimist Youth Home and Family Services. The Twin City Optimist Club of Festus, Missouri recently welcomed some young actors to their club. The troupe - the JOOI Club - entertained them with their rendition of "The Sky is Falling," the traditional story about Chicken Little and Henny Penny told, of course, with an optimist twist. JOOI stands for Junior Optimist Octagon International, the student division of Optimist Clubs. Kids from 6 to 18 can get involved with a JOOI Club and perform community service projects, develop leadership skills and whatever else they think is important in their community. 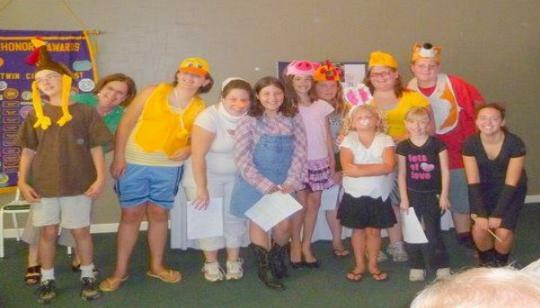 Every year, the Twin City JOOI Club produces a play and invites the community to attend. 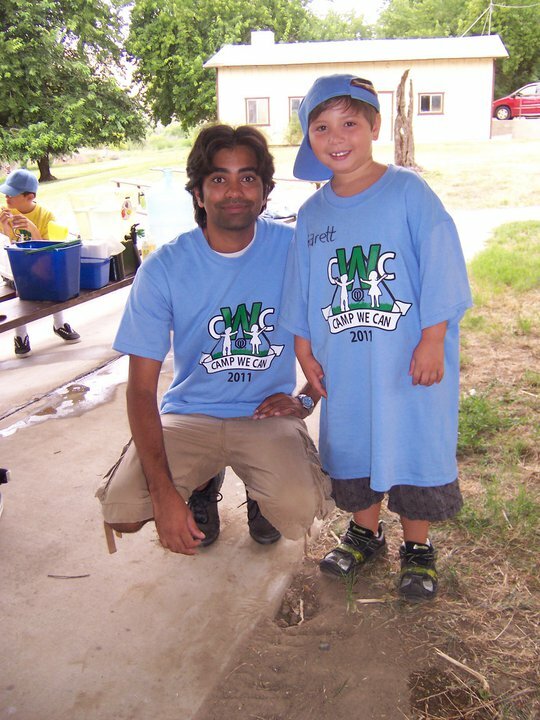 JOOI Clubs are autonomous and run solely by the children with two or more adult advisors from the sponsoring Optimist Club. To find out how you can establish a JOOI Club in your community, please visit Optimist International - JOOI or find your local Optimist Club. Thanks to the Twin City Optimist Club for the photo and story. Keeping children safe, happy and healthy are reasons to belong to an Optimist Club. They are also great reasons for an Optimist Club to partner with other groups and that is exactly what the Optimist Club of Mobile, Alabama is doing. Together with the Greater Mobile Chapter of the Links, Inc, and the Boys & Girls Club of South Alabama, Inc., the Optimist Club has started a fight against childhood obesity. People are different and have different shaped bodies. How to read nutritional labels on foods to get the fuel for your body. 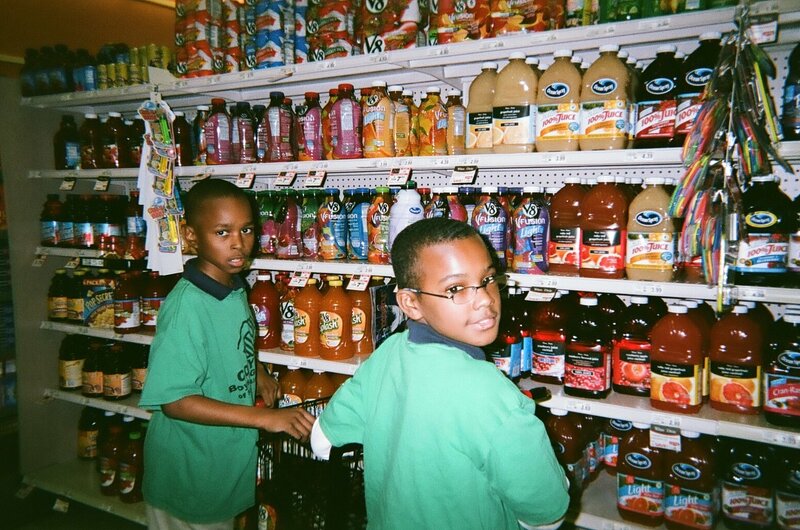 The children are also involved with exercise programs and dancing and of course the "stepping out" part when they take what they have learned to the grocery store where they learned to choose fruits, vegetables and healthy snacks. 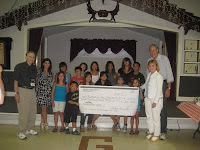 In order to reach more children, the program is currently seeking funding from the United Way. See more about the program at al.com. "We No Speak Americano" is the whimsical choice for Music Sunday at Experience Optimism this week. In addition to their handy talent on this video, this duo are actually Irish dancers, have traveled internationally and appeared on Broadway in "Riverdance" before breaking away to pursue more eclectic events as "Up and Over It." Find out more about Suzanne Cleary, Peter Harding and their video artist Jonny Reed at upandoverit.com. Can't get enough of them? Watch their recent appearance on America's Got Talent. If McCleary and Harding look familiar to you, it's probably because you've seen them before, hand dancing on a McDonald's commercial. But don't let the commercial and viral sensation fool you, they are artists and their mission is to share the beauty of the Irish dance form with a new generation. Find out more about the history of Irish dance and the beginning of Up and Over It in this three-minute segment from ABC News "Sign of the Times." I first learned about the Great Falls, Montana bike program last year. Organized by the PM Optimist Club of Great Falls, the program allows riders to rent a bicycle for as long as they need it (months, years) for only $2.00. The only catch is that they make minor repairs and return it when they are through riding it. This year I discovered that the program helps more than just the riders. The bicycle technicians and rehabbers are overcoming challenges of their own. Working at the Optimist Bicycle Repair Shop is therapy for five lucky clients at the Center for Mental Health. Watch the video to find out more. To rent a bike, stop by on Saturday mornings, 9:00 to 12:00, 3301 Central Avenue, Great Falls, MT. I have mixed feelings about this strategy adopted by Optimist International to recruit new members. Called "Friends of Optimists," the program asks club members to seek out businesses and individuals in their community who may not want to volunteer to participate in Optimist Club activities, but want to contribute to Optimist International's mission. For $100, such people or groups may be affiliated for one year with the local Optimist Club through Optimist International. Sixty dollars of their contribution stays with Optimist International and $40 is returned to the club. Herein lies my concern: that is a mighty cheap way for a business to have their name associated with the good deeds of Optimist International clubs. Does that diminish the value of the opportunity? Is Optimist International enhancing their public image or have they set a limited expectation of what it takes to operate an Optimist Club by asking for such a small amount? I think the decision to add Friends should be made by Optimist Clubs because individuals do not belong to Optimist International; individuals belong to Optimist Clubs. Optimist Clubs belong to Optimist International. Optimist International has gone to great lengths to ensure that each club is autonomous and this decision, therefore, should be a club decision. Likewise, the investment amount should also be a club decision for only they know the true value their club has in their own community. Several weeks ago, Optimist International advertised an incentive: Any Optimist Club that recruits 20 Friends before September 30, 2011 will receive a personal visit from Optimist International President Danny Rodgers. One club, the Optimist Club of Greenfield, Iowa, has already met the challenge. Their community of 2,000 individuals now has 20 new Friends of Optimist. I congratulate them for their spirit and I envy the visit they will receive. Danny is a dynamic individual. His visit to your club is well worth a $2,000 investment without adding an oblique membership into the mix. I hope that the Optimist Clubs who use this membership recruitment strategy also capitalize on Danny's strengths during his visits. His charisma, commitment and stories may attract even more new members and innovative ideas to help make their clubs the best they can be. 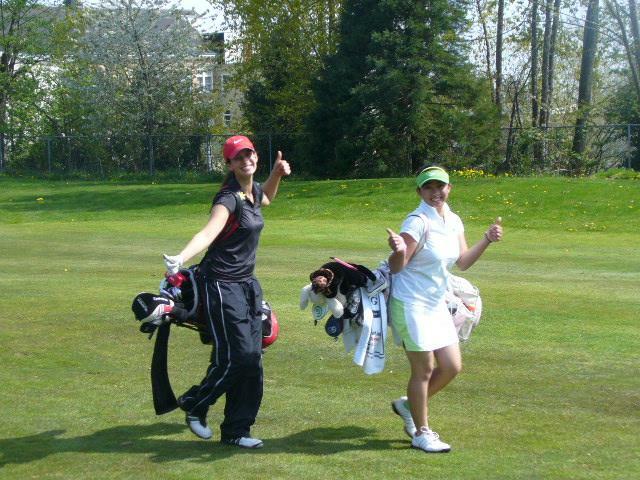 Thumbs up for junior golf! You may have heard that there is no such thing as a free lunch, but I know that many Optimist Clubs are experts in providing free lunches for children who need them. In fact, the Chilliwack Optimist Club has been doing so for six years. We've also read about free swimming days, free fishing opportunities, free movies, free skating and bowling and more right here on this blog. Yes, Optimist Club provide a number of opportunities for children to play and participate in community events and attractions at low and no cost for families; but this is one of the few times that I have seen this offer: Free GOLF. Hurry! If you want to take part in this unusually generous free event, and you live in Des Plaines, Illinois, you need to learn more by visiting the Des Plaines Park District right now because the Annual Free Optimist Club Youth Golf Outing takes place tomorrow, Wednesday, August 10. According to Brian Panek with the Park District, everyone is a winner with the Des Plaines Optimist Club Golf Tournament. All junior golfers, ages 9-16, will receive a complimentary round of golf, lunch and prizes. The outing will take place at the Lake Park Golf Course with a 10:00 a.m. shotgun start. The course and club ask that golfers have some course play experience. For more information, please call 847.803.4653. Photo credit: PNW District - Optimist International Junior Golf Tournament CA. The Optimist Club of the Port City joined in with the Communities in Schools campaign to help students return to school with the supplies they need. 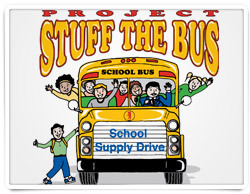 Now in its eighth year, businesses, individuals and service clubs help "Stuff the Bus." Buses were located at Walgreens, Walmart and Office Depot stores. Last year more than $60,000 worth of supplies were donated. This year, the Communities in Schools program hopes to top that amount. Optimist Club President Andrew Nettleman believes this program is important because it "[helps] kids get started in the right direction early on in life so they are not running into the same issues others in the community face later down the road." Read all about the project at New 14 Carolina. With good timing or forethought, Project Stuff the Bus took place on a government sponsored tax-free weekend allowing more supplies to be purchased for students. Take a break with "Respect"
I don't know if I need a reason to post the first lady of soul here on Music Sunday at Experience Optimism, but if I had to choose a reason, I would say, "I just wanted to sing along." I have a lot of work today and a song break was just what I needed. Go ahead and take a little break. Do a little karaoke of your own with an air microphone as you sing right along with Aretha Franklin. Shake your finger and enjoy "Respect." The recording comes from the Blues Brothers soundtrack, but the producer has added his pictures on his own. Childhood Wellness Campaign is "fortified with optimism"
This summer, the West Bakersfield Optimist Club had a resolution approved at the Optimist International Convention to adopt a childhood wellness campaign at the international level and the Programs Committee will begin looking at the components for the program this fall. 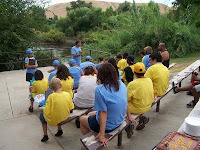 As an example of some of the activities possible, the West Bakersfield Optimist Club held their first Camp We Can this summer, enjoyed by a host of youths and adult Optimist Club members. 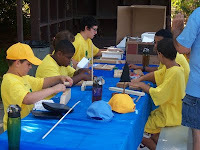 Some of their activities were hiking, art projects with natural items, a healthy food skit, boat building with recycled materials, and great opportunities for children and adults to bond. I look forward to watching this program develop and plan to get involved. Thanks to the leader of the initiative, Dr. TG Thomas for the pictures and for his passion and guidance to move this program forward. Visit the Childhood Wellness Campaign website. Optimist International encourages Optimist Clubs to conduct and support programs that impact childhood cancer through research to eradicate childhood cancer and local efforts that touch the lives of kids suffering from cancer and its treatment and their families. 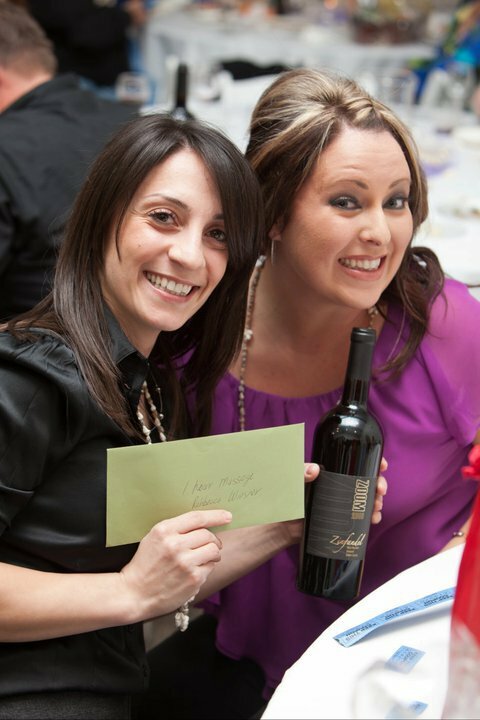 A lot of the projects are fundraising efforts like the Wine and Cheese Gala held in April by the Optimist Club of Vacaville, California. It was a lovely evening with a silent auction, raffle, and entertainment. The club recently got together to distribute the proceeds of the evening to the beneficiary - SOCK - Supporting Our Cancer Kids. Optimist International's efforts are known as the Childhood Cancer Campaign. The international program began as a fundraising effort a little over 7 years ago to perform research at Johns Hopkins Research Hospital and endow a fellowship at the university so studies can continue. Many clubs wanted to do more at home and now it's not unusual to see clubs making pillowcases and blankets for cancer kids, hosting picnics and play days for children with cancer and their families or providing support for travel and sometimes living expenses for families going through treatment with their children. I think this picture from SOCK displays the spirit of all Optimist Club members who make sure that children have the opportunity to smile even during this most awful time in their young lives. Yes, that spirit is optimism. Thanks to the Vacaville Optimist Club for sharing their positive story. Back to school sales are on and families are planning their last camping trips for the summer all in time for the kiddos to hit the books at the end of this month. That means that Optimist Clubs should be planning to host the Annual Optimist International Essay Contest in their community. This year the topic is "How My Positive Outlook Benefits My Community." Students under the age of 18 as of December 31, 2011 may compete for a $2,500 scholarship by writing 700 to 800 words on the assigned topic and submitting their entry to the local Optimist Club. Download the complete rules here. The contest begins at the club level. First place entries from all clubs are forwarded to the District where the club operates to be judged for the $2,500 scholarship award. District winners are then forwarded to the international level where the top essay writer is recognized in The Optimist magazine. Optimist International believes strongly in the development of communication skills. In addition to the essay contest, Optimist Clubs also host an Oratorical Contest and Communications Contest for the Deaf and Hard of Hearing in the spring of the school year. 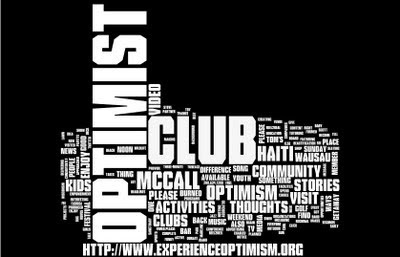 The topic for 2012 will be posted when information is made available at www.Optimist.org. All Optimist Club activities begin at the club level. 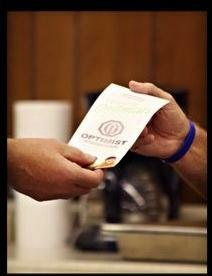 Click here to find an Optimist Club near you. Do you have a story of community service? Instead of telling a story today, let's take a look at some ideas that will help you tell a good story. 1. Be passionate: Are you inspired by your mission? Do you wake up every morning ready to do something good for your cause? Use that passion to motivate others to do and to give. 2. 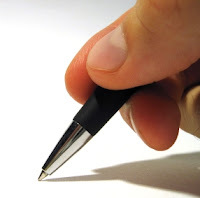 Build your characters: Every good story has a protagonist and an antagonist. The protagonist is your hero. He is someone that the group you are speaking to will respect and relate to. The antagonist is the problem. Identify what is at stake if the antagonist continues on: people will go hungry or students will not have coats to wear in the winter. Be descriptive. 3. Generate awareness: Build up to the “Aha” moment when your listener learns something from your hero’s experience that he wouldn’t otherwise have known. Give the story real-life meaning to act upon. 4. Affect change: Your hero should mimic the actions you want your listener to take. How does awareness lead to action? What should the listener do next? 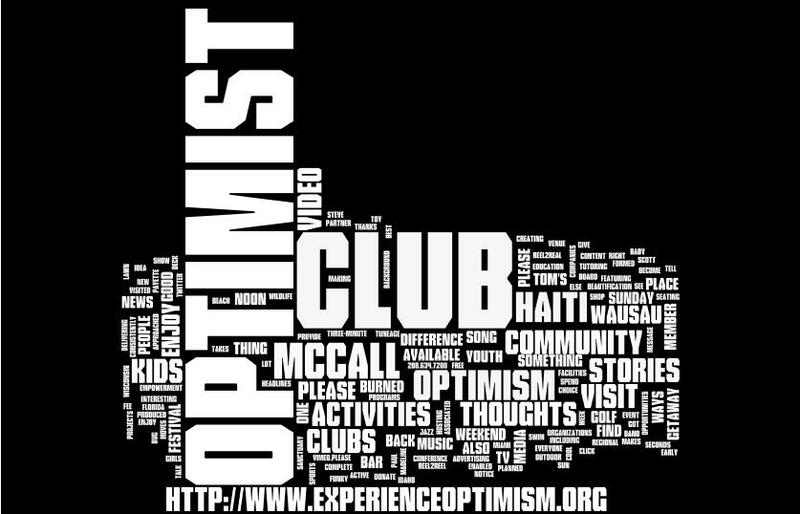 Experience Optimism wants to help tell your Optimist Club story. Please send us your story of service today. *Reprinted from the Experience Optimism newsletter, December 2007.